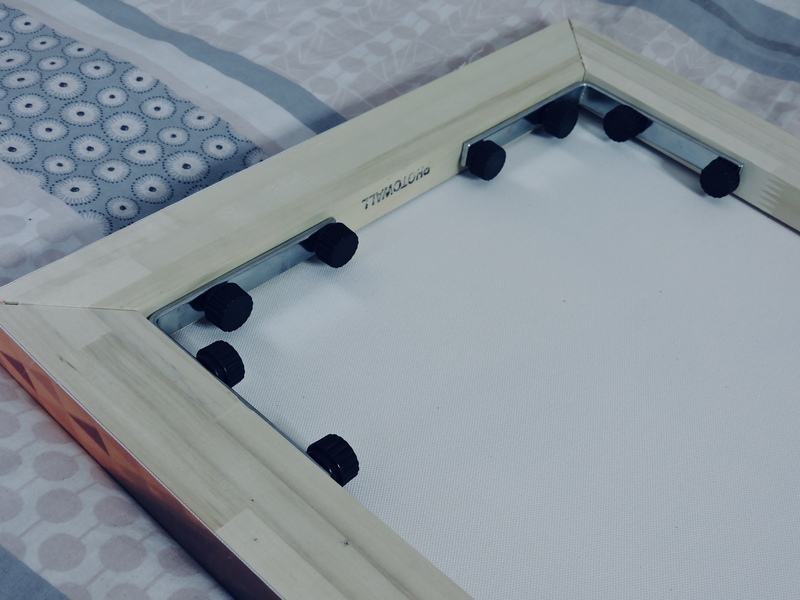 In today’s post, I am going to be review for you guys the canvas that they very kindly sent me and talk to you a little bit about it. 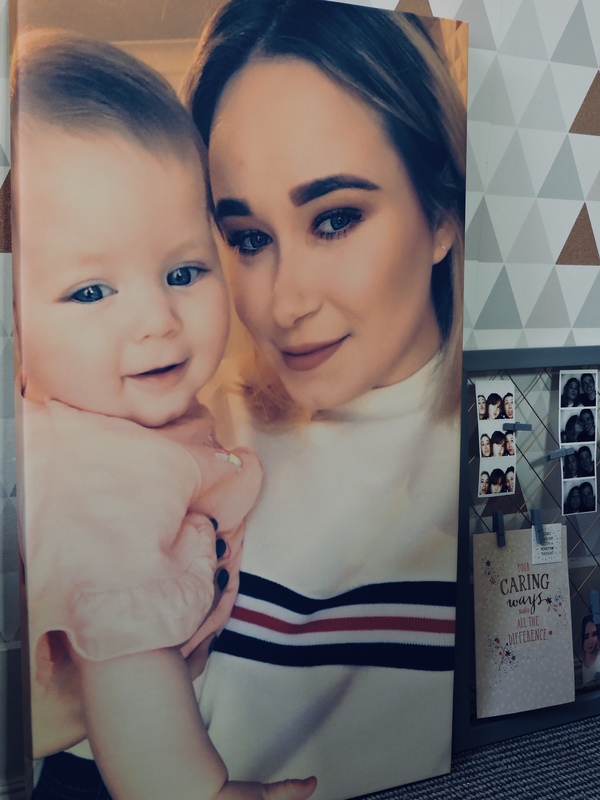 I NEVER see blog posts on canvas’s, so I thought that this will be a good one because I want people to know about this company, they are incredible! On their website, you have a choice of what type of picture you are looking for, so this may be a wall mural (theirs are absolutely stunning and I have been looking to purchase one myself) or canvas’s. When deciding on this, I wanted to get a personalised on because I do love anything personalised. I got a picture of me and my Neice, she is honeslty the cutest! The size of this canvas came to around £50-£60 which I don’t think is bad at all considering it is VERY good quality and I just think it is really worth it. When the canvas arrived it arrived in a big box, and it arrived pretty quick within me ordering it. When I opened the box that it came in, I was shocked to see that I had to put the canvas together myself. 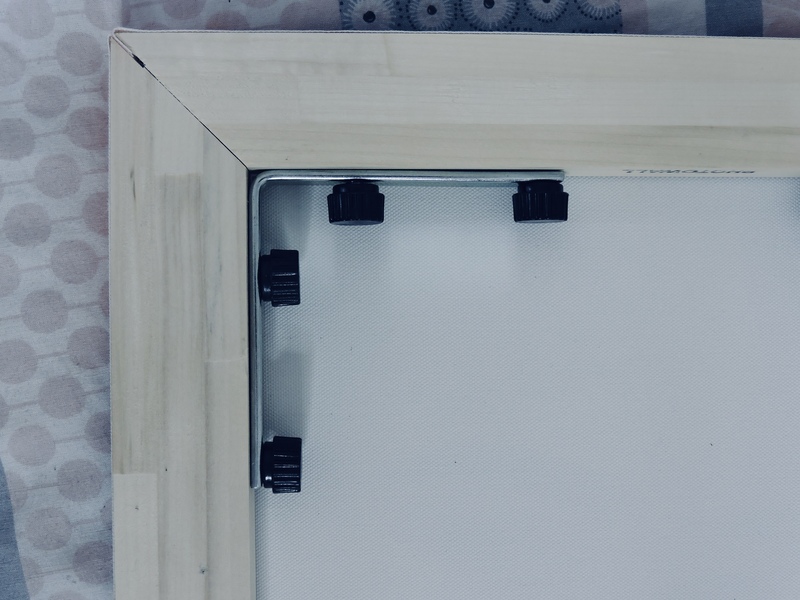 I was literally saying to myself “How am I going to do that?” there were bits inside and I thought, I have never put together a canvas and I didn’t want to do it wrong. After coming to terms with the idea of me having to put this canvas together myself, I decided that one afternoon that I would do it. I wondered how long this was going to take and I was PLEASANTLY SUPRISED after I had finished it! I could not believe how EASY it was to put together!! it was so much fun too, because when I saw the finished result and saw it all coming together, I was so happy with myself! it literally has 5 steps in order to put it together and each step is SO easy! it took me about 15/20 minutes to do this, i was so shocked! I WAS SO HAPPY WITH THIS! I think it is actually quite incredible that they send it to you for you to do it yourself! I would never have thought that in my lifetime I would have put a canvas together! LOL! The canvas itself is VERY WELL MADE, it has wooden planks around the outside and has little black screw in screws running along the wood. Hopefully the picture will explain more. I can’t even explain how well made and sturdy it is! I am so happy with this and I think the quality is absolutely amazing. The picture quality also came out really lovely too and I love that you can LITERALLY have any size you would like. 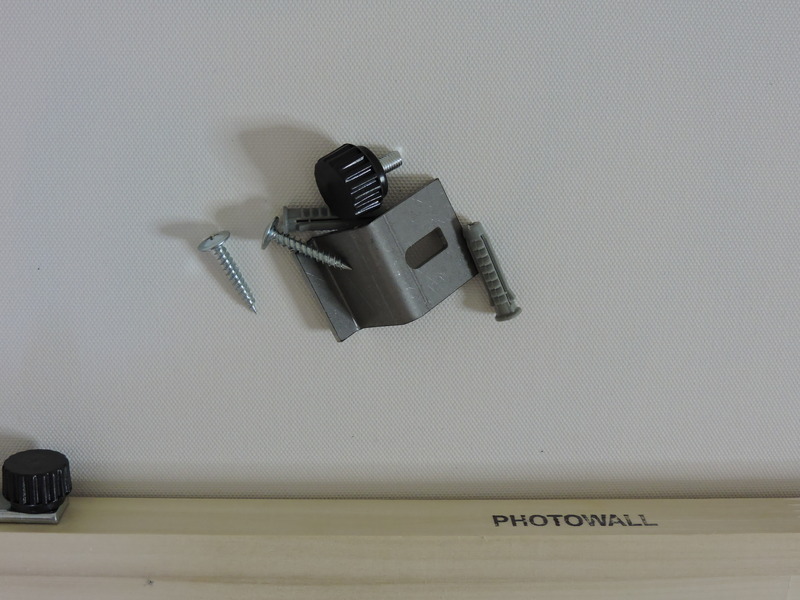 The canvas also came with a picture wall hook, so you can get it straight up on your wall without stressing about having the stuff you need to get it on the wall. I think the cavas is beyond amazing and will be recommending this company to everyone, their service was also amazing. Thank you once again Photowall for sending me this amazing canvas. What do you think about having to make the canvas yourself? and are you a canvas lover? Next Post Colorsport 30 day mascara & brow tint review. 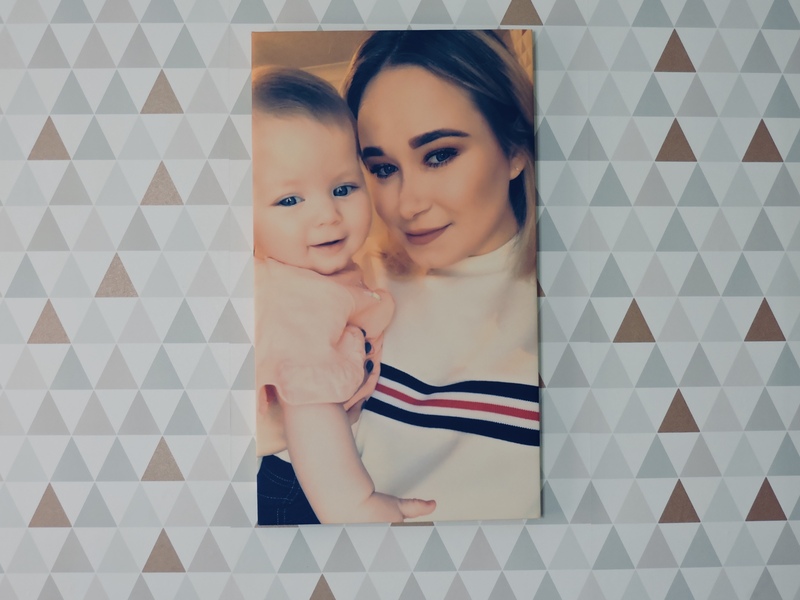 I adore my Photowall canvas, it’s such great quality and a great price too! OMG YES! it makes me so happy that you have one too! it is really is! 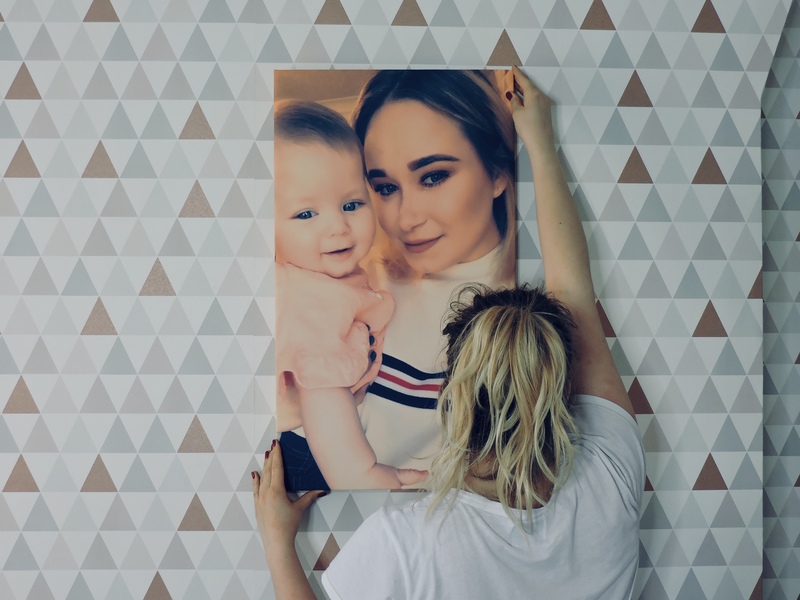 I adore photo canvas, however have yet to find a company that prints them out really good quality – maybe i’ll have to give photowall a try. Also (totally off topic) but I have the same wallpaper, it’s lush! Pingback: Colorsport 30 day mascara & brow tint review.